Exploring the cave while riding the kayak! 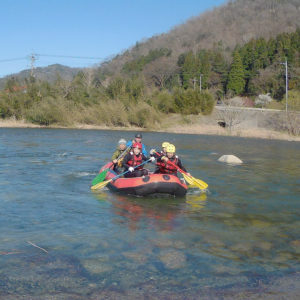 Doki Doki's Uradome Coast Tour Surprised & moved by the nature of Tottori Prefecture! 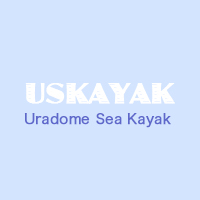 Take the kayak and leave the Uradome coast. Looking at the powerful scenes such as jagged rocks scattered by the waves and cliffs that can reach the sky! Beyond that you can also go under the arches created by the rocks or enter the deep caves where the treasures of the pirates are likely to be hidden. 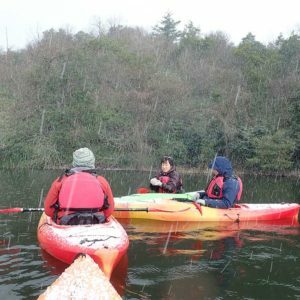 Just like a sightseeing ship, do not just look at the scenery, but enjoy the thrill of adventuring by rowing kayak yourself. Even for the first time relaxing and touring. The staff is nearby! Highest transparentness in Honshu! 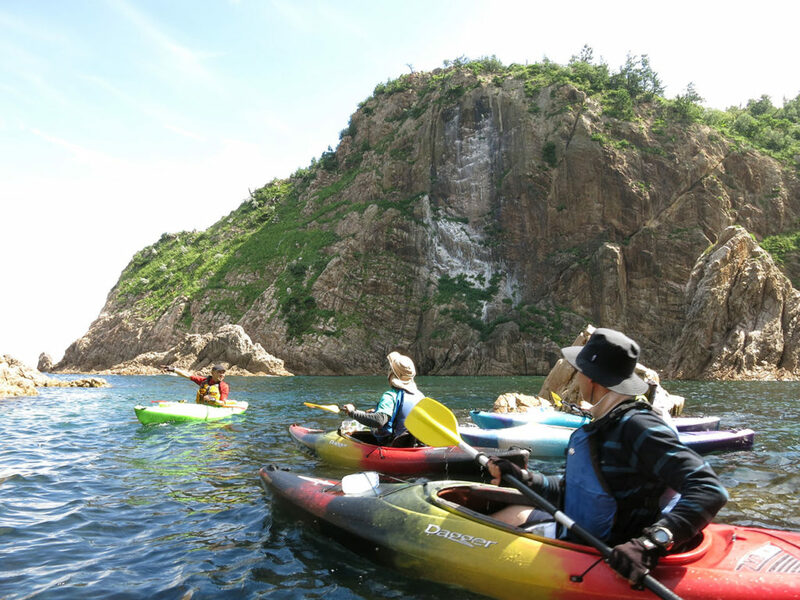 Fulfilling the beauty of the Uradome coast The Uradome coast, which is also certified by the San'in Coast Geopark, is a beautiful sea boasting one of the best transparency in Honshu. 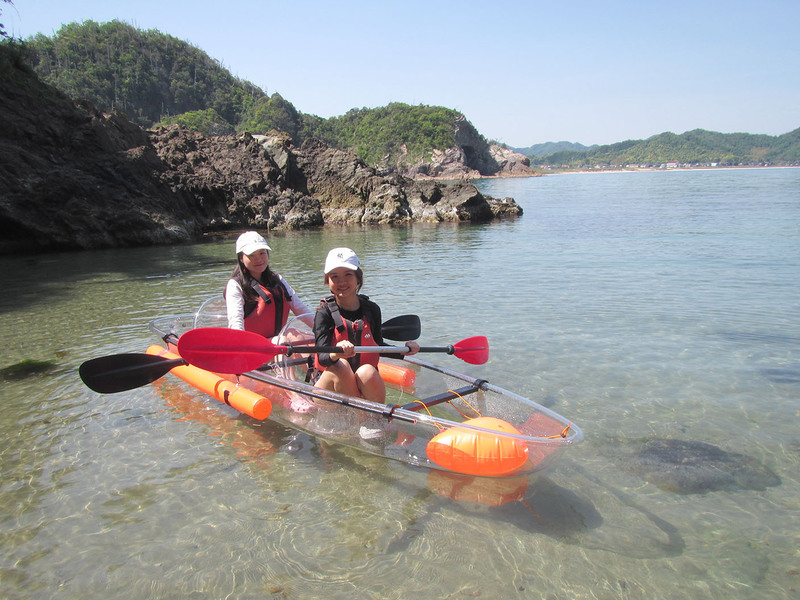 Clear kayak is a means to fully enjoy this sea. Because it is transparent to the bottom of the ship, it makes me feel like my body is just floating in the sea. 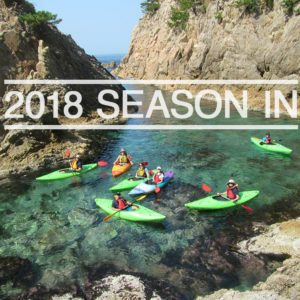 While enjoying the scenery of strange rocks made by cutting off the rough waves of the Sea of Japan, let's row it leisurely while watching the clear sea of feet. 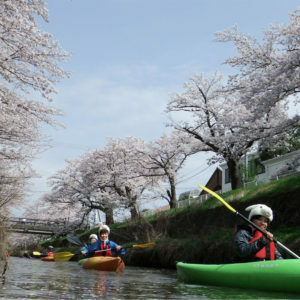 Copyright © US KAYAK, All rights reserved.